Today I have an interview with Michela Fantinel from Rocky Travel. 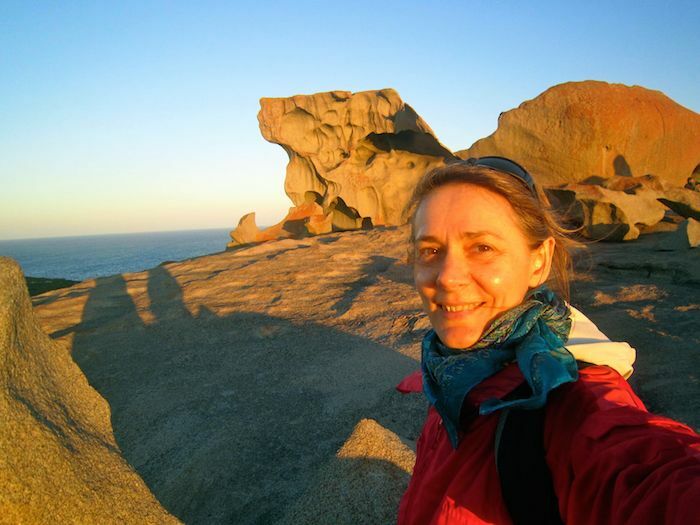 She is an Australia itinerary expert who writes about travel in Australia, and since this is such a popular country with Travel Made Simple readers, I asked her to share some of her knowledge and experiences. Michela, tell us a little about yourself. How did you come to love Australia so much? I grew up in Italy and at the age of 20 I left the country, so I was an expat for over 15 years in UK and Vienna, and in Munich for over 10 years. I used to travel a lot for work and in 2004 I took a career break and set off on a fantastic solo adventure to Australia. Since then I have been hooked on this amazing country. I started writing about it and kept exploring it over 10 years. My next solo adventure is starting soon again! 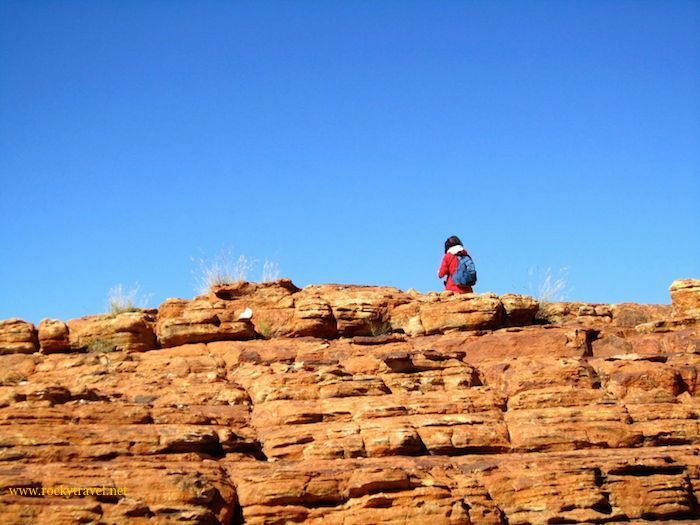 I love Australia’s impressive landscape, its contrasts, its colours, its unique wildlife, its people. I love feeling free and safe to explore places on my own, this is priceless. What’s the biggest difference between traveling in Australia and Europe, where you grew up? In Europe everything is close. When you make a travel plan you can easily make changes, at the last minute. In Australia you cannot do that. Because of the vastness of the country, you need to make accurate research, choose your destinations wisely, make a travel plan and stick to it. Why do you think Australia is a great destination for first-time travelers? It’s a relaxed, safe country to visit. With a population of only 24 million, in rural areas there are not many people around. You can explore at your own pace and most of times you have the feeling you have the place for yourself. A lot of my readers have fears and concerns about traveling alone. Is Australia a good country for solo travelers? Australia is a great country for travelling alone because it is safe and relaxed. People are very friendly and they love solo travellers! When they see you are on your own, they immediately speak to you, they give you advice and offer help, even if you haven’t asked for it. Everywhere you find a supportive environment, which makes you feel good and never alone. Besides that, there is good infrastructure for solo travellers: from hostel chains to activities, travel networks and so on. If you feel social, you have plenty of options, you can share your experience with fellow solo travellers, you can join them in their adventures or decide to hop on an off day-tours or multi-day tours offered throughout the country. You have the freedom to choose how to explore the country. What are some of your favorite places in Australia and why? This is a difficult question, in fact my list is long! I love the Outback and its stunning colours. Despite being a touristy destination, Uluru truly fascinates me. I have been there twice and could visit again. I love the profound peacefulness that reigns there, and the sight of the big red rock gives me shivers. I love the contrasts of Northern Australia, from Cairns to Darwin. 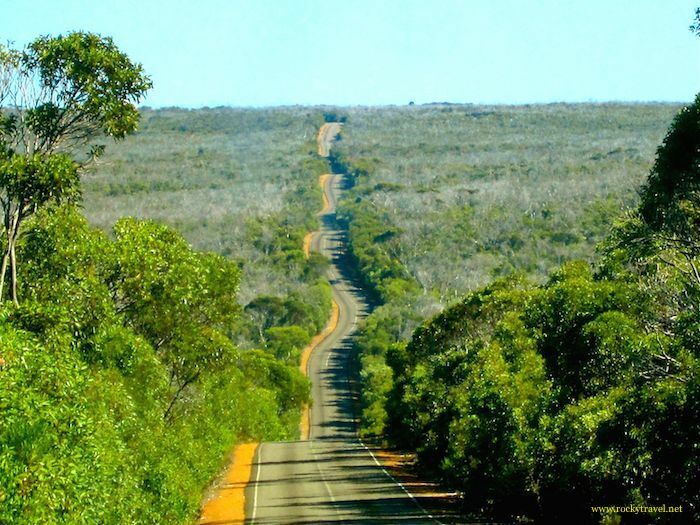 The Top End is a special area of Australia, with the most varied landscapes and range of activities. From rain forests and the Great Barrier Reef, to coastal landscapes and beaches, to Outback plains and gorges, to fruit, tea and coffee plantations, you have it all. Another region I recently discovered and fell in love with is South Western Australia. I ate excellent organic food there, I’d say the best I had in Australia. The rugged, colourful coastal landscape, the unique Karri Forests and its mild Mediterranean climate make it an ideal place for settling down for a while. What are some of the mistakes you often see when people try to plan their Australia itinerary? They want to see all of Australia in 3 weeks, which is a consequence of not knowing about Australia’s huge travel distances. I get emails from people wanting to drive from Sydney to Cairns in a few days! You cannot do that. Or they have 3 weeks and they want to criss-cross the country from west to east and from top to bottom. Again you cannot do that in Australia. If you are on a short vacation, you have to choose between 3-4 destinations, located within travel distances that are aligned and doable. You can only do that by choosing the right itinerary and cost-effective ways of getting around. Australia is very big country and many of the sights are spread out. How do you recommend getting around? Oz is a great country for road trips. I would say that road tripping is by far the best way to explore the country. If you have 3 or 4 weeks vacation try to diversify as much as you can, and choose different types of transportation. Maybe 1-2 flights in combination with a a couple of short road trips, a rail-journey to cross vast distances, like the GHAN or the Indian Pacific, and also treat yourself with a break, join a tour for a few days. An adventure tour, a cruise tour, any tour you feel called to. What are your thoughts on renting a car for a shorter vacation to Australia? It’s definitely a great idea. Consider these 3 things: Destination, distances and the type of road trip you want to do. Pick a main city or town as starting point and build a road trip plan in a loop. For Melbourne it can be the Great Ocean Road. From Perth, a road trip to the Margaret River. From Alice Springs a road trip to the Red Centre. From Cairns to Cape Tribulation or the Atherton Tablelands. These are just a few examples and they are all 2WD road trips on sealed roads. But there are many more possibilities for short vacations and road trips on 4WD too. It very much depends on what you like to do and see and the level of driving experience you have. Australia is known for being an expensive place to travel to. Do you agree with this? Any tips for saving money? I’d lie if I told you Australia is not expensive! And in the last 6 years Australia has become more expensive. However if you are travelling on a budget you can save money on accommodation and food. You can hire a camper van if you like camping. Choose budget accommodation and stay with the locals, book a room in private homes or stay in hostels. Hostels are good value in Australia. The average price is between 30-60 Australian dollars per night per person. Cooking your own food is another way of saving money on food. In cities eating out in restaurants is expensive, so eat at food markets where you can get excellent freshly cooked food for 10-20 dollars. In general, the best tip I can give you is to make your bookings 2-3 months in advance. It can save you up to 30-40% off normal rates. Search TripAdvisor for the perfect hotels for your trip to Australia. You recently wrote a book called Your Australia Itinerary. Tell us a little about the book and who it will help. Your Australia Itinerary is the concentrated juice of 10 years of travels. It covers everything from how-to-make an Australia itinerary that works, with timing, destinations and transportation to where-to-go and what-to-do. With 4 itineraries and 36 customisation options you get a clear picture of the options are to shape your own itinerary. I have written the book from my solo travel point of view and for fellow female solo travellers, however it’s a great help for anyone who wants to travel Australia independently and in an affordable way. You can find more about my book The Ultimate Guide to Australia Itineraries here or pick up a copy from Amazon here. You can follow Michela on Twitter and Facebook, and don’t forget to check out her site at RockyTravel.net. It is a huge country – and focusing on a few places is great advice for the best experience. Thanks Linda! Australia is definitely huge, much bigger than most people realize! Michela’s book is really helpful, a wonderful resource for people planning a trip to Oz. Well worth picking up a copy! As an Australian I can say that this is excellent realistic advice.